I'm ready to pack up and move to the beach so all my session can be seaside. 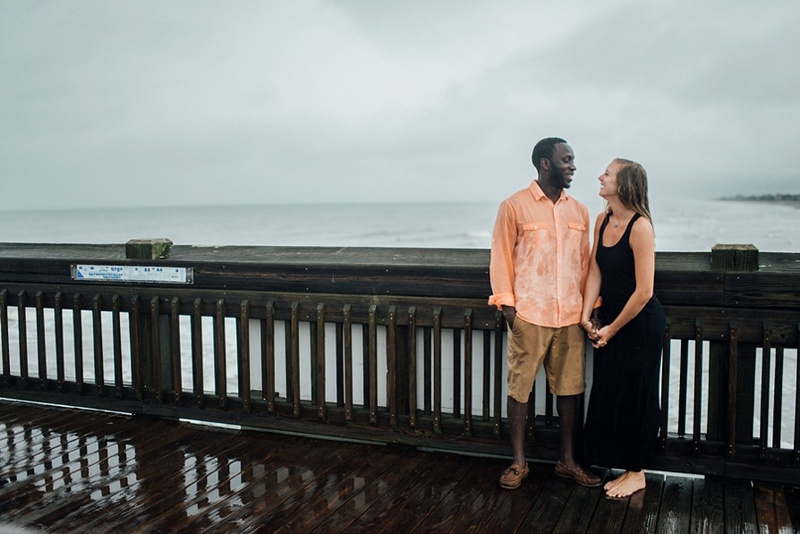 I loved every second of photographing Haley and Mohamad at Folly Beach, despite the torrential downpour and my fear that my camera would drown. 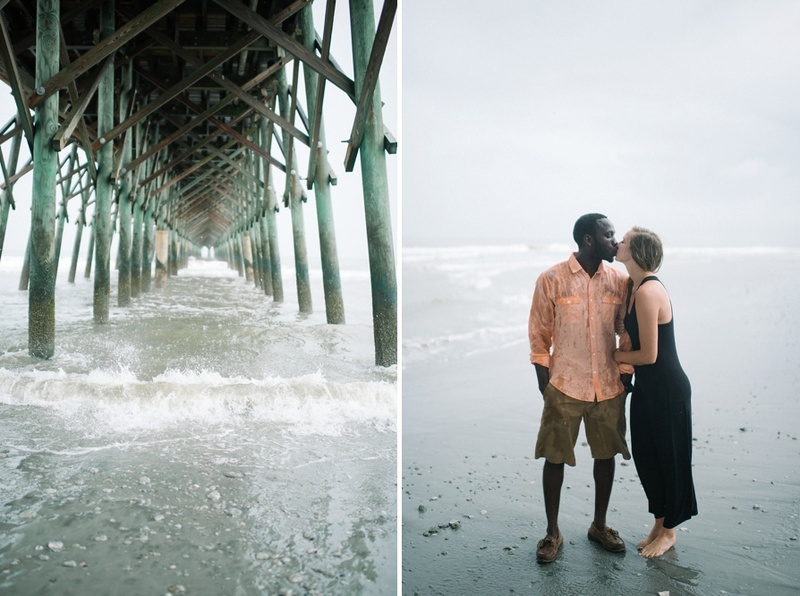 I was dying to set up a session while I was in Charleston over the summer and luckily my last morning in town was their first, we had a golden (or maybe in this case, a grey) moment of opportunity. All of my romanticized ideas of a sun-drenched beach session quickly changed but I am so in love with how these turned out. The crashing thunder and overwhelming rain created the most surreal atmosphere and we found ourselves stranded at the end of the pier, in the middle of the water, for a few minutes when the rain really picked up. 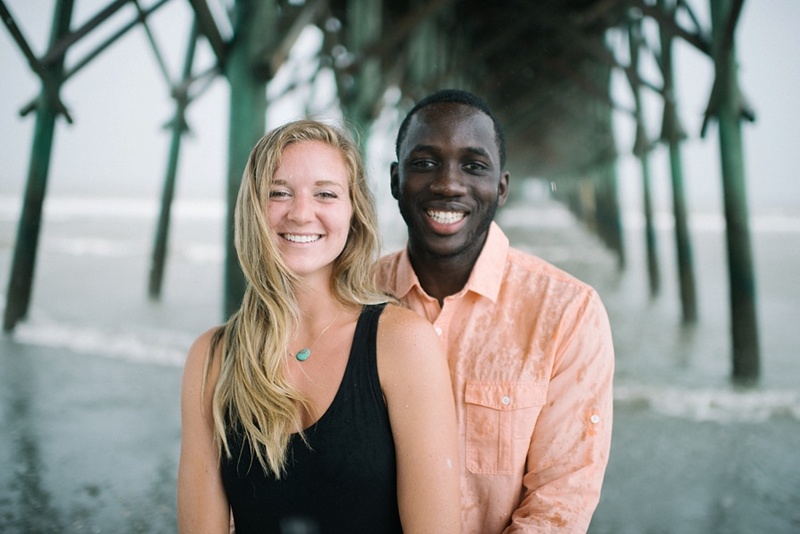 These two are so incredibly sweet and laid-back and soldiered through the rain with smiles the entire time. I am still finding little pieces of sand in my camera bag from this one.